March 6, 2013 By Paula 90 Comments This post may contain affiliate links. About a month or so ago, we decided to start using Pinterest. We kept hearing about how wonderful it is for driving traffic to your website so we felt it was time to actually get in and give it a go. So far it’s been a fun experience. That’s the only way to describe Pinterest – it’s fun but also highly addictive if you let it be. We like to spend no more than 15 minutes a day on it although to be honest it can end up being much longer than that. There seems to be conflicting opinions on whether Pinterest is worth it or not and we are still deciding that ourselves. But we can’t make an informed opinion without giving it some effort and that involves pinning content and getting followers. Now the pinning part is easy. Just find a photo that you like and click the ‘Pin It’ button. Up goes the image with a link to wherever that image actually came from – you can then add your description if you like and it’s done. Getting the followers is a whole different story. We struggled with this and it took about 4 weeks to get a measly 16 followers. At that rate, it would take us a year to get a couple hundred followers. We tried following other people but that didn’t seem to work. We thought that maybe we just needed a lot of boards and pins on our page but that didn’t seem to work either. What finally worked was a simple strategy that had almost immediate results. After using it, we went from 16 followers to 50 followers and those extra 34 followers came in just one week. But not only that, we suddenly had our pins being pinned multiple times. Prior to this we were lucky to have any of them repinned. What we did was make use of the group board option in Pinterest. This is a relatively new option which allows users to invite other people to pin on their boards. However, that’s not how we used this. We didn’t invite people to pin on our boards – instead we did the opposite of this and went to people with group boards and asked them if we could pin on their board. You can tell if a Board is a Group Board by the little group icon at the top of the board. We didn’t spend hours looking for group boards. All we had to do was go to this page which includes a big list of group boards and look for those that were in a similar category to ours. In this case, our Pinterest page is about muffins, cupcakes, wedding cakes and so on. We scrolled through the group directory page until we found a group board that related to our niche and had more than a thousand followers. Fortunately, the owner included instructions on how to get an invite from her that would allow us to pin to her board. We simply had to email her and ask, which we did, and she happily accepted us and sent us an invite. Now this user has over 25,000 followers on her cupcakes board. That’s a lot of followers! Even so, we weren’t expecting to get the reaction we had. We pinned only 2 pins to her board and almost immediately people started repinning those pins and we started getting followers. We left it for close to a week before we pinned again to her board, only because we were relocating our office and things were in a bit of a mess plus we didn’t have any internet for that time. Even so, we still had people repinning our pins and following us during that time and this is something that we hadn’t experienced before. So those two pins generated a lot of action. When we got back to it yesterday and pinned on her board, again we saw a lot of multiple repins and followers. As of today we have 50 followers so it’s going really well. We are now in the process of contacting other group board owners to see if we can pin to their boards. 1. You should already have multiple boards and pins. If you are starting from scratch and expecting others to allow you to pin to their boards then you will be disappointed. Add at least 10 boards and multiple pins to each board before requesting an invite. 2. Your pins should be of a high quality. Don’t pin rubbish and don’t automate your pins so that anything and everything goes up. Be choosey about what you pin to your own boards so that it looks amazing when people look at them. 3. Only pin to group boards in the same niche. There’s no point trying to pin unrelated things to a group board. You will only get banned and at the very least people will just ignore your pins. Choose boards in the same niche or category so that you get people wanting to repin your pins. If you take a look at our Yummy Muffins Pinterest page you will see that we have kept them very specific. UPDATE: 7 March 2013 – By following the methods outlined above we managed to get another 51 followers on our Pinterest page. We are now at 101 followers as I write this note. UPDATE – 8 March 2013 – We are now at 191 followers. UPDATE – 19 March 2013 – 277 followers. Exactly. It’s really important to put in really good quality images. hi paula, thanks for this awesome pinterest pin invite tips i think i want to try this for my niche sites which gives me good number of followers using your invite tip. I am sure Pinterest can help some, but someone like me probably wouldn’t benefit from Pinterest as my business really isn’t something that a majority of people would look for. I must say though, photos are of utmost importance when using Pinterest and that is what gets most people clicking and then pinning. Just as most website wouldn’t have as many followers without good content and at least a few pics to catch the eye. I disagree Ron. I think your business could work extremely well in Pinterest. 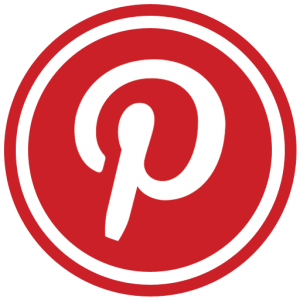 There are boards for just about anything in Pinterest and PLR could work just as well. As long as there is an image attached to it, you can pin. I found this post to be extremely helpful as I was wondering what all the fuss was about regarding Pinterest. It seemed a great waste of time to me as I have been using it for a few months now with few rewards and while finding it fun, it wasn’t exactly a productive use of my time. Thanks for the help and I’m glad I always read your posts ~ you always have something interesting to say. I think the key is to get a lot of followers. I know a lot of people pay to get followers but that’s a waste of time because they are usually made up accounts. We are going for REAL followers and although that will take time at least now we know how to get them relatively quickly. Rats! Now you get a 502 error when you go to the group boards. I love Pinterest but it is highly addictive. I have to use a timer or else the 5 minutes I had planned to spend on there ends up being 2 hours. We had the same problem 505 error yesterday as well Cathy. I’m not sure why. It seems to be working now. And I know what you mean about spending TOO much time on Pinterest. Yesterday we ended up spending all afternoon on it. Ever since I read this post, I have tried to get to http://pinterest.com/groupboards/ but get a 502 error every time. I contacted Pinterest about it but so far, t hasn’t been fixed. It seems to come and go Cathy. I’m not sure what the problem is. I even noticed a comment on the board from someone complaining about it. This looks a great strategy. On my site I have loads of images and have just opened a Pinterest account and will admit I was a bit confused about the best way to use Pinterest. These group boards look like a great way to get things moving. It does seem to work. I just did the same thing for another of our Pinterest accounts yesterday. This account had only 3 followers for about a month or so. I emailed about 5 different group board owners and most accepted. I just pinned a couple of images on one board and immediately the images were being repinned. Today I now have 15 followers. Humans are aroused by visually appealing pics. Think outside of the box, be different and unique on your choices of pics in Pinterest. I am sure this will work in creasing your fan following. You’re right there. The more appealing the image the more likely they will pin it. Really thanks for sharing such wonderful information. Till now I was not able to create campaign to increase no of followers on pinterest but now I’ll follow the tips mentioned here. Glad we could help Pawan. It seems to be working really well for us. We are now at 191 followers. Brilliant techniques :) BTW, what is the average number of pins per board? Not sure Robert. I have seen some boards with up to 150,000 pins so I don’t think that there is a limit. Glad we could help Rajan. Pinterest is becoming more popular nowadays, it has already more popularity than Google+, there is no surprise if we able to find Pinterest id option when commenting any blogs. In order to increase Pinterest followers you have to share some good pictures or you can share infographics pages. It’s not too difficult to be more popular than Google+ – for some reason Google just can’t get the social thing right. Thanks for your feedback Paula, Yes I agree with your comments. They are struggling to find the right way to attract the visitors. Are you able to tell yet how many visitors are coming over to your site from Pinterest and if those visitors are clicking on any of your niche website links? Yes we can tell from our stats how many visitors are coming through to the site. Only 12 so far for March but then we only have around 240 followers. I would think you would need followers in the thousands to see some decent action. We are still waiting to see if Pinterest is worth the time and effort. Nice! I’m currently interested to use pinterest now to promote my site because I heard that this social network can really bring lot’s of traffic. Now I know how I can easily gain followers faster, thanks for this article. We are still waiting to see if Pinterest can bring in the traffic but we figure we will need at least 1000 followers before we start seeing anything much happen. That will be our first goal. Your method seems interesting! I am gonna give it a try. Thanks for sharing. I still can’t decide whether Pintrest is worth it or not. My main qualm is that I find it harder than Facebook or Twitter is terms of “converting” followers onto your actual website or blog. I suppose with some more testing a research though this could be improved! I agree Andrea. At this stage we are still trying to build followers. We are going to reassess when we hit 1000 followers to see if it has made much difference in traffic coming to our site. Sound interesting, that we can get number of Pinterest followers within few days. Now I am going to follow these tips. Hope they will work for me. Thanks Paula for sharing this. Let us know how it goes for you Lalita. What a great idea! I haven’t done too much with the groups but going to play around with them today. Let us know how you go Julie. I’ve built up a fairly decent Pinterest following (6,890) just by following people first but I’m sure half of those only follow back to be polite and have no interest in interacting. With the method you’ve detailed people are following you because they like what they have seen and so are more likely to click through to your site. We tried following people but didn’t get much of a response. I’m sure they wouldn’t have followed you back if you didn’t have something of interest to them so you must have a good Pinterest page. Pinterest isn’t new today. But it’s a fact that it is truly hard to gain followers from this platform. And your tips here are awesome. Thanks! Glad we could help Emma. Pinning boards from power users is also one of the best ways to get noticed. Yes that can work. If you pin a lot of posts from one user then they are more likely to follow you. Woah–this is like a revelation for me. THANK you for the idea to use group boards in this innovative way…I think this could drive some serious traffic…much appreciated. It’s definitely worked for us. Even though we haven’t been in Pinterest much lately it is still bringing us followers. So I think this method is great for anyone new to Pinterest to get the momentum rolling. This post to be extremely helpful For me .. I Like Pinterest More then Facebook .. and with the help of your trick i Hope i will also get More Fast Followers On Pinterest! I must admit that I like Pinterest more than Facebook too. Pinterest is no doubt one of the best social network and is gaining popularity at a fast pace. There is a need to remain cool and calm which people do not understand and spam their links rapidly. As a result you get less number of followers with no interest. Send may be a couple of posts a day but with quality content. This is perfect advice! I have been doing the same thing quite successfully and normally have an average of 100 new followers each week. I belong to several group boards, but there are only a few that I actively pin to. The others I pin to now and then, and when I’m pinning to multiple boards my traffic really spikes. My next plan is to build another blog with more of an emphasis on money making avenues and to use pinterest in the same way. Great article, and something I haven’t seen posted in such detail before. I don’t think many people are aware of this yet. I just checked out your Pinterest page. You’ve got a lot of followers so you know what you are doing. We’ve been a bit lazy lately and haven’t done much pinning. We get the odd follower here and there but it’s not the same as when you pin daily. Lot of members of pinterest but they not known how increase Followers. When I entered groupboards pinterest bet get 502 every time. You good explain how to increase followers. Thanks for your informative ideas…. There has to be something wrong with that group board. It keeps giving the 502 error. I get the feeling it’s because there are so many boards on that page and the system can’t cope with it. If you scroll up to one of the comments above you will see a couple of other links to other group boards. really nice post. I will use in future Pinterest as traffic strategy for my niche websites. haha…the mystery’s been unraveled…I’ve been puzzling over pinterest for a couple of weeks now, the buzz its created is very real, but is this the only way to get followers? I think following other people works as well but not to the same extent as the method detailed above. I post lots of interesting photos but it is very hard to get the followers! Thanks for the tips, will give them a shot! Great post Paula. It’s nice to see someone writing about practical, step by step information about a real world Pinterest strategy rather than the vague “you must be on Pinterest” type of stuff. getting followers is easier, then keep in them. any good point about that? We don’t seem to have a problem keeping them. If you do it the way we suggested in the post above then the people that are following really want to follow. If you do it by getting someone in Fiverr or Elance to get you followers then they are not likely to be people that really want to follow or they are just spam bots. I know what you mean about it not being a productive use of your time. It is really easy to spend way too much time on there if you don’t do it right. A very good and useful article. In my opinion, more and more people will start to use Pinterest. It is a visual environment which offers a lt of advantages. So, pinning to popular groups is an effective way to get noticed and get followers. Are you seeing significant traffic from this strategy? Pinterest seems to be a hard site to crack, and it looks like not every niche suites it. Someone else asked this questions and we can’t really answer it because we never really gave this a good run to see if it could actually equate to getting traffic from it. I think with anything like this, you need a big volume of followers. Would love to have the time to really test this out, but just don’t have it at the moment unfortunately. I agree with that Jacob. It’s better to take a more natural approach when it comes to social media. We have tried buying followers in the past for different things but we have found that they don’t really work in the end. The followers are just not interested so what’s the point. As soon as I have time I’m going to start with pinterest for my blogs- its definitely a must have! Wow, after I read this post I’ve started using Pinterest and I have more and more followers. Thank you. Some really practical tips here. Just curious though, do you know what percentage of people are clicking through to your site and has that increased your revenue? 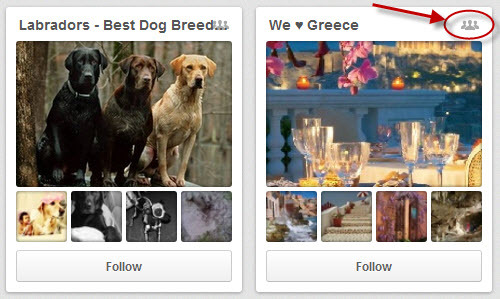 I mean it’s great getting new Pinterest followers, but unless that’s monetized I’m not sure what the point is. I must admit we haven’t looked at percentages for this as we have moved on to another project which has taken up most of our time. So the Pinterest thing has waned a bit at the moment. Funnily enough, we are still getting followers, although it is a lot slower than if we were spending time on it on a daily basis. With anything you give your attention to, it will gain momentum and eventually may lead to bigger and better things. I’m fairly new to using Pinterest as I have not used it a lot. The techniques that you’ve mentioned look quite doable, i’m going to try them out today itself and see how it turns out for me. Thanks for sharing ! Lately I installed the Pin It plugin for images. It’s very useful, it simply makes a little “pin it” button appear on the top right corner of all the images in your blog. I’ll update you about the effects of this in the next weeks. i just finished reading this post and wondered why would I need to get more followers on Pinterest, but not long after doing so I found out that it has over 21 million visitors every month so is most definitely a social booster. Thank you for all the great advices! Am not really a big fan of Pinterest but after reading this, I just might have a change of mind. I went there once but couldn’t make sense of it. So basically, have multiple boards with good images then request an invite in a related niche. If they like your pins, they will follow you. Thanks for posting. Thanks for nice post Poula. Till now I have overlooked Pinterest. Thanks for your tips, and I will definitely work on strategy. figure it out. I will have to try this out. Now a day’s Pinterest is one of the social media site. Every one wants to get follower in this site. So, its a helping hand for them. Thanks for sharing.